On March 24, after a heated debate on the House Floor, days of negotiations and some frantic vote tallying, the GOP majority caucus threw in the towel on the American Healthcare Act, the Republican proposal to repeal and replace the Affordable Care Act, or “Obamacare.” In a subsequent statement to the press, Majority Leader Paul Ryan stated that the GOP would now be moving on to other priorities, like tax reform. For the moment, and potentially for the foreseeable future, ACA remains the law of the land. Ordinarily, a failed bill would not present questions for CPAs about how to advise clients. But these are not ordinary times. On his first day in office, President Trump signed an Executive Order directing federal agencies to modify their enforcement of ACA in light of imminent repeal. The IRS relied on this order in unofficially relaxing some ACA requirements, telling taxpayers on its website that the Service would accept returns that were “silent” in regards to insurance status (and presumably also as to owning up to any penalties due for not carrying required coverage). Insurance marketplace websites were quietly taken down ahead of schedule. Many employers were wondering if those 1095C filing requirements might just go away before the extended 3/31 deadline. So now that ACA is not repealed or replaced, what happens? Should individuals who filed “silent” returns amend them and pony up those penalties? Can self-insuring individuals assume that marketplace options will be available for future enrollments? Should employers assume all required ACA compliance is a “go” for 2017? And what of the Republican tax reform plans? The GOP was counting on one trillion dollars of repealed taxes coming from the ACA repeal. Now that repeal isn’t happening, party leadership must find a way to work another trillion dollars of relief into the tax reform package—and find a way to pay for it—or reduce their plans for tax reductions significantly. The answer—for now– is “actually, we’re not sure.” The ACA’s survival leaves CPAs and their clients in the interesting position of attempting to determine compliance and planning requirements and options in the context of a law that is valid, enforceable, and utterly lacking in support from the governing party. 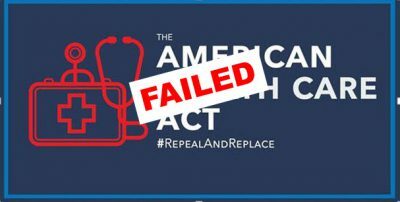 Republicans campaigned on its repeal for seven years and failure to repeal it will not automatically translate , to embracing it. Just after the bill failed, President Trump stated, “The best thing we can do, politically speaking, is let Obamacare explode.” He later stated, referring to Democratic leadership in Congress, “now they own Obamacare. They own it, 100 percent own it. [The ACA] is not a Republican healthcare [program]. This is not anything but a Democrat healthcare [law].” It’s hard to determine what such statements might translate to in terms of a position on enforcing and applying the law. It will take time to determine whether the President’s executive order will be retracted or modified, what positions the IRS will take going forward on ACA enforcement regulations, whether government resources needed to run the exchanges will be allocated, what impacts the ACA repeal fail will have on the tax reform plan, and what all of it will mean for CPAs and their clients. Surgent’s faculty are watching these issues very closely and preparing to translate them into practical advice and strategies that you’ll find in our upcoming courses. We’ll help you sort through the confusion and be ready for those client questions.